Well, OK, maybe we need some stars, but their creation should be organic not forced just because of a Grade 1 win or notoriety on the Triple Crown trail. Granted, the collective departures of Grade 1 winners Bodemeister, Hansen, I'll Have Another, Paynter, and Union Rags in the past three months is not ideal but nor is it likely to have any meaningful impact on the sport. Exhibit "A" is this year's Travers Stakes, a Grade 1 race in which the only Grade 1-winning entrant (Liaison) was on a seven-race losing streak. As I said in a previous blog post, this field was more like a bunch of also rans playing out the loser's bracket of a tournament already won by the aforementioned retired horses than it was an exercise in determining the best three-year-old. Indeed, my over/under line on number of Grade 1 wins by the 11 starters going forward is 2.5 for their careers and .5 for this year because the only Grade 1 races remaining for three-year-old males are the Malibu (7 furlongs, dirt), Jamaica (1 1/8 miles, turf), and Hollywood Derby (1 1/4 miles, turf). I.e., I don't give this group much of a chance to beat older in Grade 1 events. But who cares? Well, racing fans at large certainly don't. Attendance for the motley crew concert was 46,528, up 8.1% from the previous year, and all-sources handle also increased, up 10.8% to $36,597,173. If I'll Have Another had won the Triple Crown and raced in this year's Travers would that have increased those figures? Of course, but a star of that magnitude is in a different galaxy than the balls of gas that claim Union Rags would have done anything meaningful for racing. Let's use Royal Delta as an example. Last year's champion three-year-old filly and Breeders' Cup Ladies Classic winner sold for $8.5-million at the Keeneland November breeding stock sale and easily could have been retired, but she returned this year and while her presence in races certainly gives some of them a "headline name", her star power is not so massive that it has its own gravity, as I would have a hard time arguing that her presence has mattered to Dubai, Churchill, Delaware Park, or Saratoga. Yet had she been retired following that sale, I have no doubt that the din of cries claiming that "racing needs stars" and "the breeding business is the tail wagging the dog" would have been deafening. Racing does need stars. It needs the Smarty Jones and Zenyatta and Frankel types to show it can be done and to fuel our imagination when the NBT (next big thing) comes around. But we don't need to pretend that Bodemeister was a star of that magnitude. Yes, I was bullish on his talent. I thought he was good enough to win the Breeders' Cup Classic and be Horse of the Year this year, but someone else will accomplish those things, and regardless of what races Bodemeister may have won between the Preakness and Breeders' Cup it's doubtful that he would have done enough to influence the Breeders' Cup's business. Which brings us back to Frankel, who certainly would affect Breeders' Cup business, as the crush of media would turn the World Championships into a true international phenomenon, and maybe even Bethenny Frankel would get involved on the hype. He is the type of horse that moves the dial. The others are just interchangeable Grade 1 winners. Fun to watch and certainly capable of providing a thrill a la this year's Travers Stakes but not needed to help the sport grow. I agree with everything in this post except that Frankel would "move the dial" in the U.S. In a horse racing sense, he's this year's Goldikova. Racing people know him and we respect his immense talent and achievement, but Goldikova going for four wins didn't do much for last year's BC. In a bigger sports context, Frankel is Rory McEllroy. He's the best in the world, fun to watch, not American and golf fans admire him. But the numbers from Monday's final round spiked not because he eventually won that tournament. It was because of the American guy who eventually finished third. And Tiger's failures in recent years should make those lamenting a lack of stars wait a beat. When we invest so much in megawatt stars, there is a huge hole when they leave. Talent-wise, Skip Away, Afleet Alex & Frankel deserve star-status, but they came after Cigar, Smarty and Zenyatta. Sure horseracing needs to build it's future on a foundation that includes other aspects of the sport than just star power. Point taken. The problem I have with this blog entry is that it implies that some/most G1 winners are not that great anyway so it's ok to retire them early so the mostly already rich owners can make even more money...at the expense of everyone else. This seems to me to be an attempt at making a bad situation palatable. No disrespect however the blogger could probably get a nice PR job with the owners assoc. "Stars....we don't need them." And apparently you don't need new fans and gamblers either. Michael Jordan, Tiger Woods...they brought no new fans to their sports..eh. Forget Secretariat..this sport can't even must up a Point Given, Alysheba, or Silver Charm anymore because of questionable breeding and/or the glorious rush to the breeding shed. So the sport's growth is dependant on marketing to 20-somethings with blaring music/food/alcohol and CDI's "Mansion" to romance the millionaires. 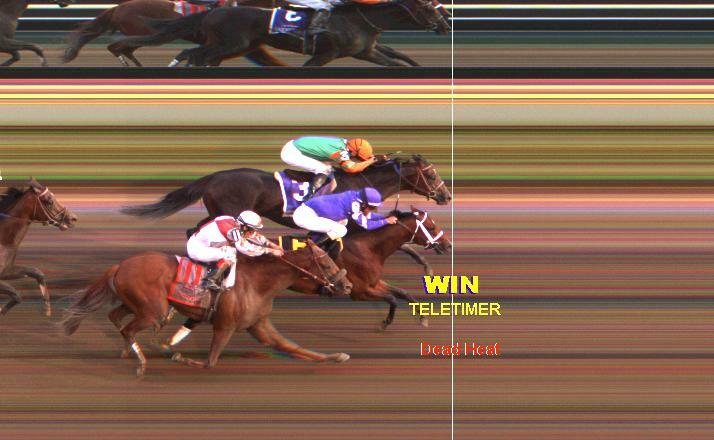 The Travers was a Grade Three field at best....and an exciting dead heat...that doesn't change that fact the talent was lacking. When the BUSINESS of horse breeding is elevated above the SPORT of horse racing....you have a big problem. And it won't be rationalized away. The biggest sport in the country, football, doesn't need stars. The biggest sport in the world, futbol, doesn't need stars. And the best game in the world, horse racing, doesn't need stars. In the first two cases, the sports sell themselves. The greatness of the game of racing should sell itself, but it gets overshadowed by trivia like hats and other nonsense. Who cares about the trainer's kid? I've got my own kids. The "sports" aspect of horse racing was lost a long time ago. It just consists of the Triple Crown these days. The "game" of handicapping is better than ever. That's what should be front and center. The only international phenomenon that would happen if Frankel came here and ran in any of our long two turn races is watching him try to figure out which front hoof to lead and the whole field passing him by in the turns. There is a reason this straightaway sprinter never ran in the derby or Arc. lmfao!!!!!!!! That last comment is pretty laughable considering Frankel has run around a turn in his career. But don't let the facts get in the way of your flawed opinion.